The latest report from the Federal Reserve Board of Governors on credit utilization, released late this afternoon, showed that Americans’ borrowing activity slowed considerably at the start of 2017. Specifically, total U.S. consumer credit outstanding rose by just $8.8 billion in January (lagged release) at a seasonally adjusted annual rate of 2.8 percent. That was down sharply from December’s upward-revised $14.8 billion increase, and less than half the $18.3 billion gain economists had anticipated. 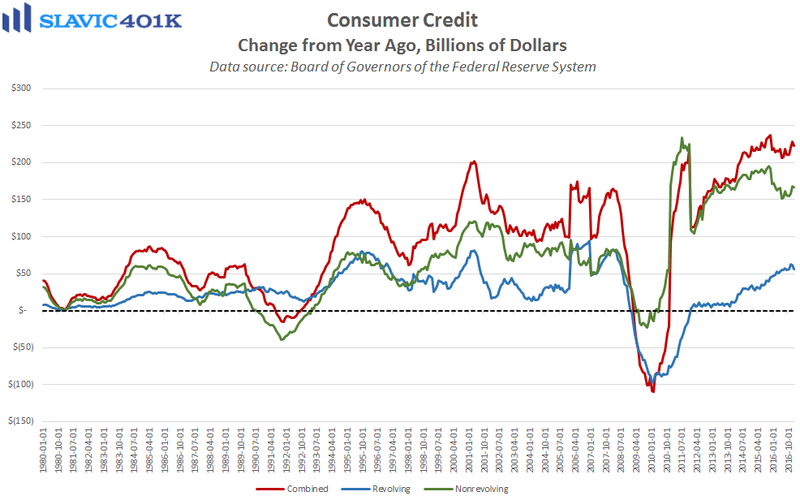 Revolving credit, a metric of Americans’ credit card use, contracted by $3.8 billion in January, the first monthly decline since February of last year and the largest drop since December 2012. Non-revolving credit, e.g. student and automobile loans, gained $12.6 billion in January, the 65th month-over-month increase in a row. Despite the post-election spike in consumer sentiment, the latest credit data suggest that many Americans were less eager (or able) to borrow at the start of 2017. 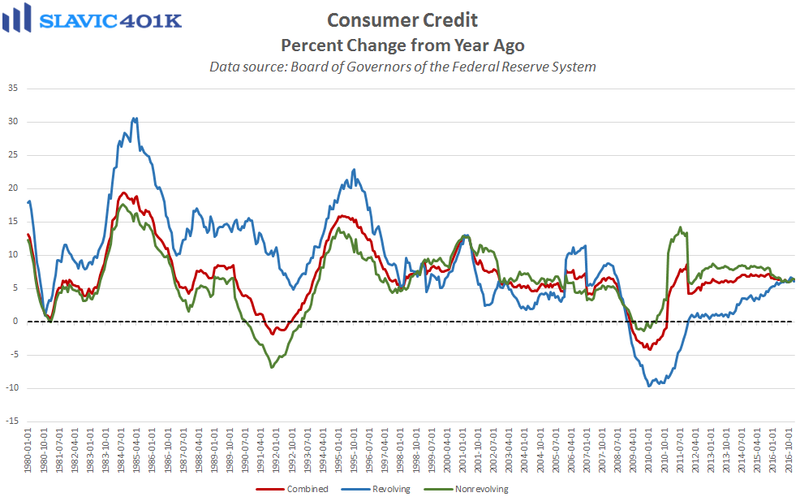 Potential factors behind the recent weakness in consumer credit could be the sharp move higher in interest rates following the election and the larger number of banks tightening their lending standards. Evidence of the latter was seen in an earlier report from the Federal Reserve, which signaled an “8.3 percent net tightening in credit standards for credit cards and an 11.6 percent net tightening for auto loans.” Going forward, though, the headwind from stricter lending standards could be offset by continued strength in the U.S. labor market, especially if wage growth finally accelerates.